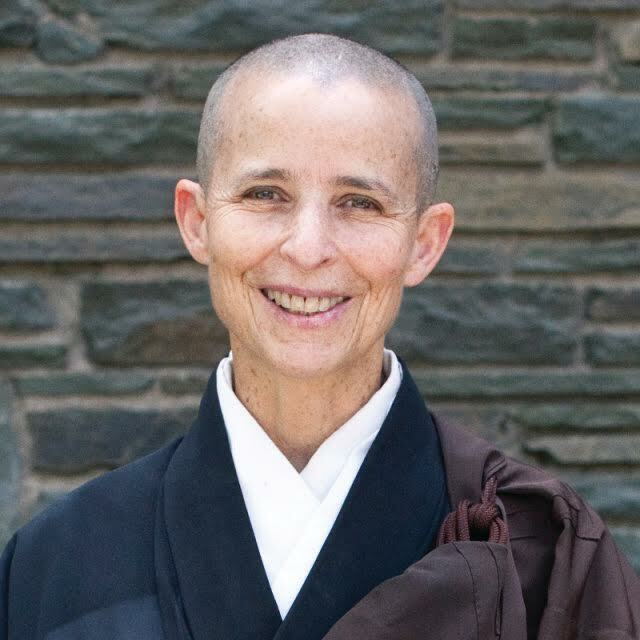 Shugen Roshi is the Head of the Mountains and Rivers Order, abbot and resident teacher of Zen Mountain Monastery, and abbot of the Zen Center of New York City. Shugen Roshi has been in full-time residential training since 1986; he received dharma transmission from Daido Roshi in 1997. While he lives primarily at the Monastery, he shares his time between there and the Zen Center of New York City. He has visited New Zealand to conduct Zen events for many years, and currently offers a programme in Nelson each July. His teachings have appeared in various Buddhist journals, The Best Buddhist Writing 2009, and his first book, O Beautiful End, a collection of Zen memorial poems, was published in 2012. Shugen Roshi visits New Zealand each year in July to lead Zen retreats in Nelson. Hojin Sensei received the priestly transmission (the transmission of the Precepts) from Daido Roshi, who began the process in 2009, and from Shugen Sensei, who completed the transmission in 2012. In 2017, she received full dharma transmission from Shugen Roshi. She is currently the Monastery’s training coordinator and has taught drawing, ceramics, and painting, and continues to teach on the creative process within the Mountains and Rivers Order. Hojin Sensei has been in full-time residential training at the Monastery since 1990. Before entering monastic training, Hojin Sensei was a painter and ceramic artist, teaching and working out of her own studio. She has visited New Zealand twice to lead a series of Zen retreats and art workshops. ﻿Hogen Sensei has been engaged in formal Zen practice since 1978, and was in residential training at Zen Mountain Monastery for 12 years as a lay student and senior monastic. He currently divides his time between living with his family in Pennsylvania on a farm and as an assistant Zen teacher at the Zen Center of New York City. Hogen Sensei has visited New Zealand three times to lead a series of talks, workshops and retreats. Zuisei was in full-time residential training at Zen Mountain Monastery from 1995 to 2014. She’s now a lay teacher in the MRO, as well as the Work Supervisor at Zen Mountain Monastery. Additionally, for many years she’s run our popular youth programs, impressing the value of mindfulness, meditation and intention upon countless aspiring bodhisattvas. Daido Roshi was the founder of Zen Mountain Monastery and the Mountains and Rivers Order, and served as the guiding teacher for almost 30 years. A holder of the Soto and Rinzai Zen lineages, Daido Roshi drew on his background as a scientist, artist, naturalist, parent and Zen priest to establish a uniquely American Zen Buddhist training center. He is the author of numerous books, including The Eight Gates of Zen and The Zen of Creativity. Daido Roshi visited New Zealand annually from 1988 to 1996.